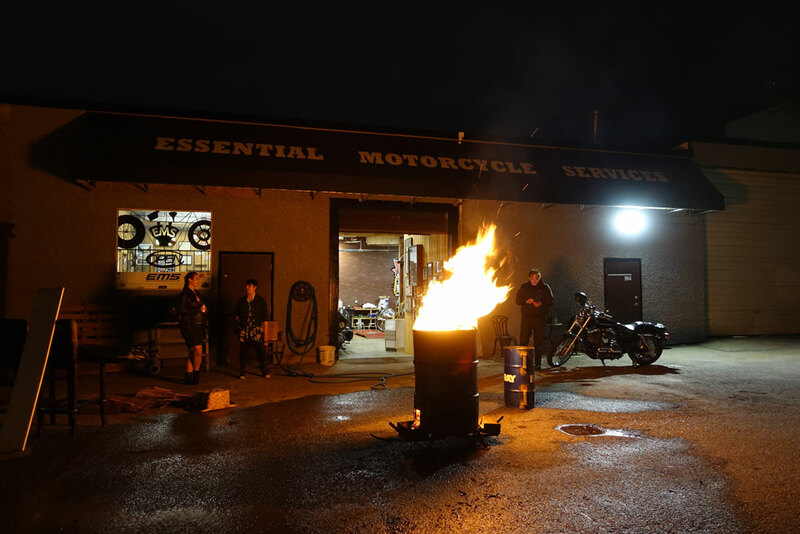 A full service motorcycle shop located in Vancouver, BC. EMS was conceived in 2007 after the founder was working in the motorcycle industry for a few years and noticed that efficient and real time service was in demand and not being offered by any existing shops. The concept of a quick service was shop was developed and EMS was born. We started offering real time hot oil changes and brake service as well as tire changes. Fast service with no appointments ever. Edward Sweet opened the first EMS in 2008 inside a 700 sq ft building with two lift benches and a desire to do things differently. After two seasons EMS had to expand to a 1300 sq ft bulding with three lift benches. Another three seasons passed and EMS had to expand again to 2000 sq ft. 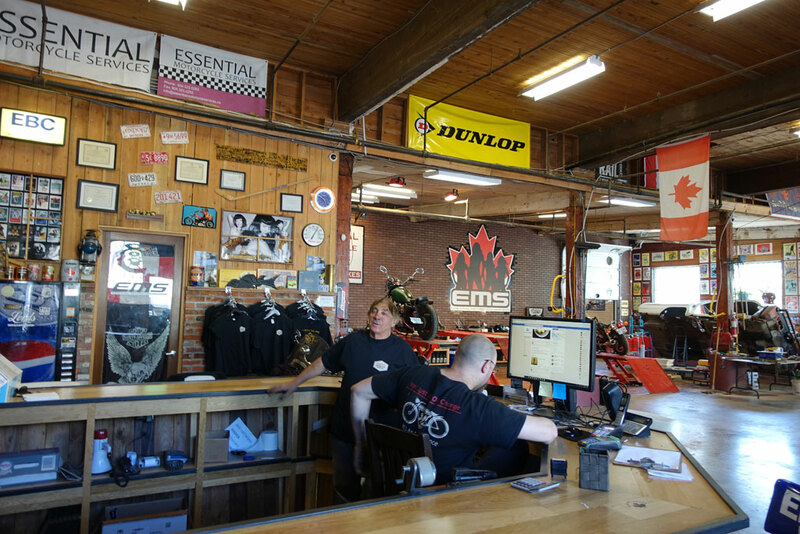 In March of 2016 EMS teamed up with EagleRider Motorcycle Rentals and moved into a 9500 sq ft location, making us the largest independent motorcycle shop in British Columbia. All the while never deviating from our original concept of just doing the Essential Services required for all motorcycles. EMS has been featured in The Province newspaper, written up in Canadian Biker and appeared on CBC'S The Dragons Den. We advertise very little and as our clients do all our goodwill work for us. Community is great. EMS is also involved in our own YouTube Channel and produce a show called Hot Lube where the goings on behind the scene's of a unique motorcycle shop are documented. What does the future hold for EMS? Manufacturing our own line of M/C lift benches for one. Building industrial furniture and industrial art from old motorcycle parts and whatever we find in alley ways. More oil changes, more tire changes and many more brake pads switched out and always striving to be the first and best motorcycle service location in North America. At EMS we provide the Essential motorcycle services. We do real time oil changes , brake service and tire changes with no appointment necessary. Ever. Be it a Honda or a Harley, we have all oil filters and brake pads in stock at all times. Tire changes are done while you wait and we do not judge if you arrive with your own tires. We also provide other services such as brake fluid flush, coolant flush, fork seals, fork oil, battery replacement, steering head bearing replacement, chain and sprocket replacement, brake rotor swap, wheel bearing replacement, electrical system diagnostics and some mild custom work. All you have to do is ask. I was there today to get 2 tire changed. Fastest service ever and friendly staff. I also got my oil changed. Everyone was nice and welcoming. I let them know I was a new rider and they gave me so many good pointers and advice on how to handle the bike and how to look-out for my bike. I will definitely be coming back because you guys are not just a shop you guys are awesome funny people that are honest and care. If you ever need your tires or your oil change done and you are a new rider ( or everyone), this is the place you want to go. Also ask them about the ice lake story, I won't spoil it for you. Thank you for the fast service. The service was fast, helpful, friendly and inexpensive! They fixed the nail in my tire without an appointment or hassle. I was back on the road in 15 min! I look forward to doing some service here with them soon. I brought my bike and new tires there first thing in the morning. They pulled my bike straight in and had it on the lift before I even knew it . They did a fantastic job on my tire change and it was a pleasure to sit and shoot the crap with them while the work was getting done. Great place to go for service work on your ride. Excellent service, wouldn't give up till the problem solved, unlike the dealer. Reasonable cost. EMS'll be my service location of choice from now on. Absolutely first class service. Saved me hundreds of dollars on tires/install on my 2008 Road King. 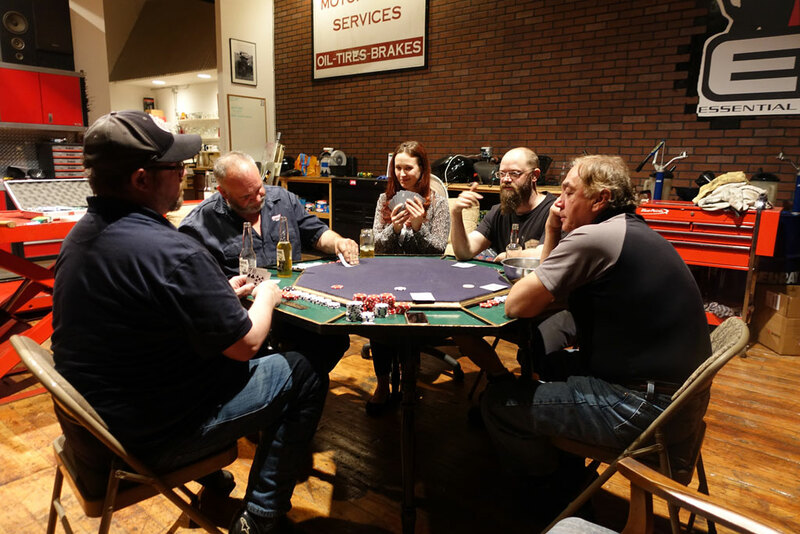 Ted's business model is all about ensuring repeat customers so he, Karly and Laura put forth the effort to ensure you are completely satisfied. 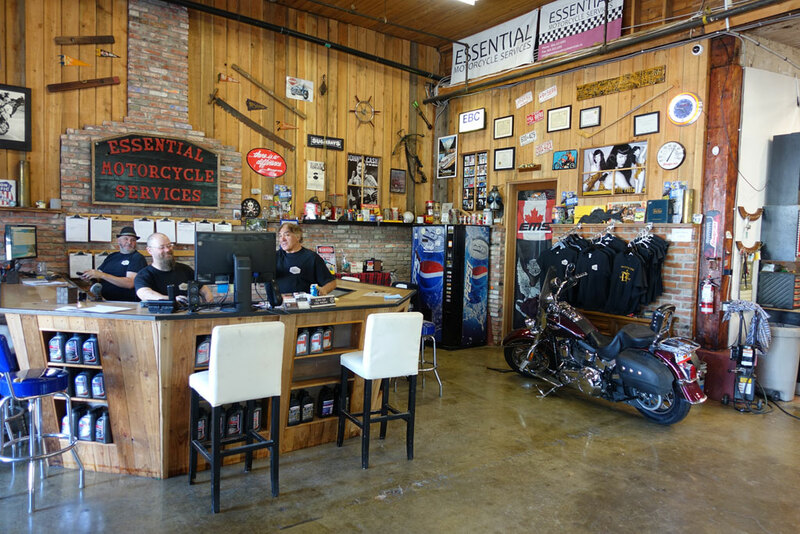 Essential Motorcycle Services rocks like Metallica! They were easy to find. I was in and out in a half hour with a full oil and filter change. The dealership I usually go with I had to make a two week advance appointment, and then I found you guys. Plus, you guys were considerably cheaper. Got my tires and oil changed while I had my morning coffee. They were efficient and professional. I enjoy there being woman mechanics on staff. It's nice to see young girls taking an interest in Motorcycles, and it gives the shop a more balanced atmosphere. Good job on the tire change, see you soon. I've never seen a motorcycle service shop like this, great idea! I'll definitely be back, and I'll bring my wife and her Harley. I could not find a better spot to get my bikes tires changed, Although it was Canada day... The crew at EMS changed my tires without making a appointment. I have recommended their service to many of my friends!. Thanks EMS! Great place. Fast, good service, friendly, nice atmosphere. As one person said - you can sit a few feet away from your bike as it is being worked on and talk with the mechanic. Like it. This is a shop that cares. They will bend over backwards to ensure that you leave happy no matter what it takes. Always a straight answer - no BS, no unnecessary upselling. You'd be hard pressed to find a finer shop in all of North America! 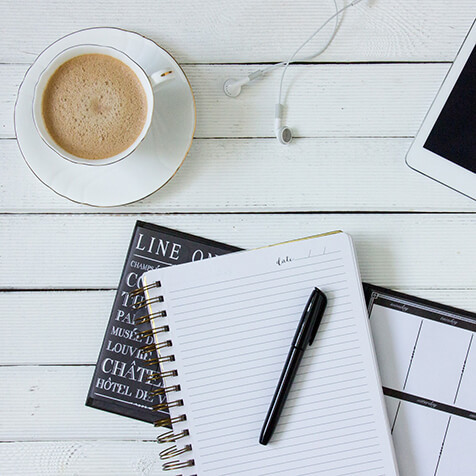 Check out our blog for the latest news here at EMS! Meet our team of seasoned experts.